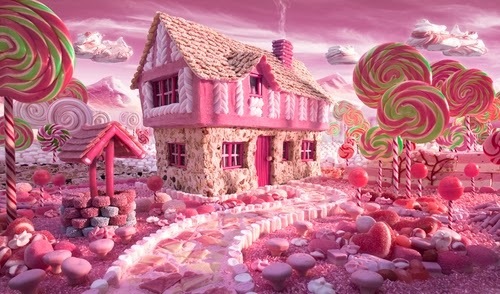 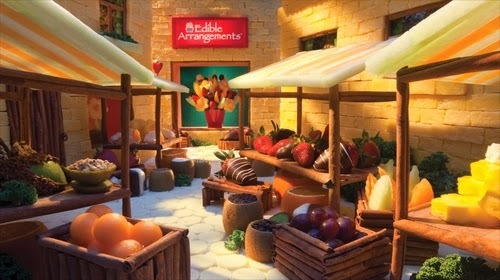 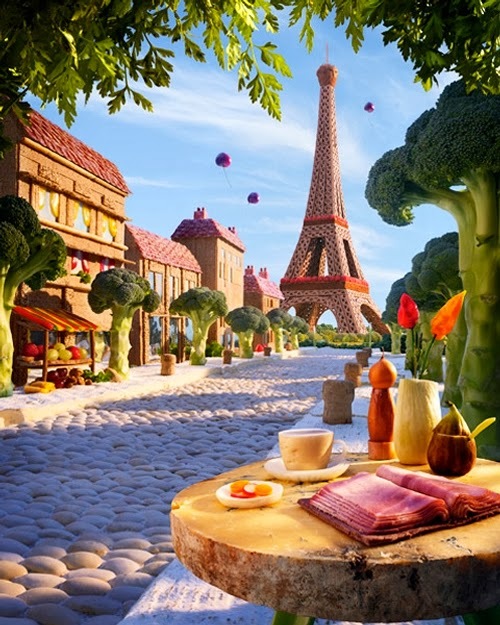 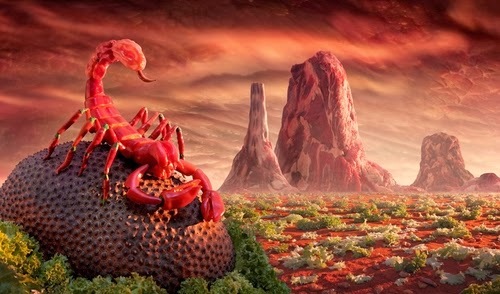 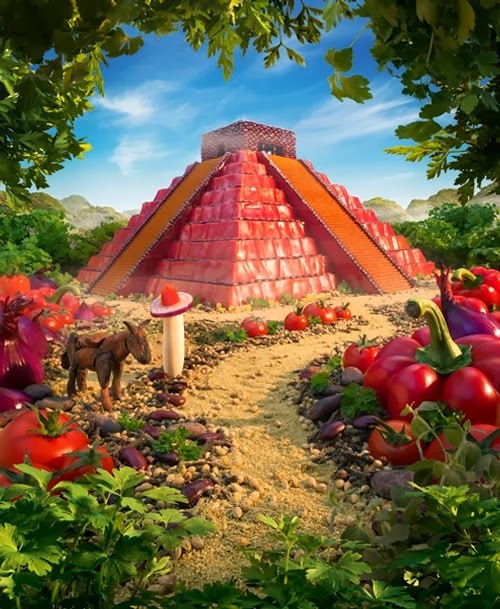 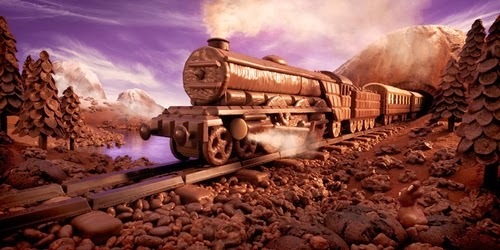 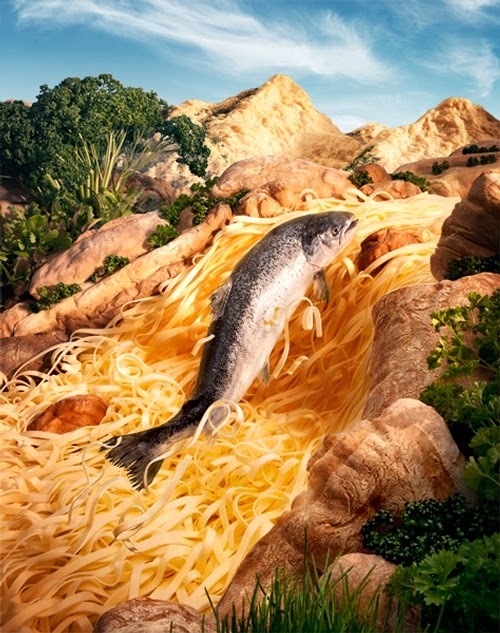 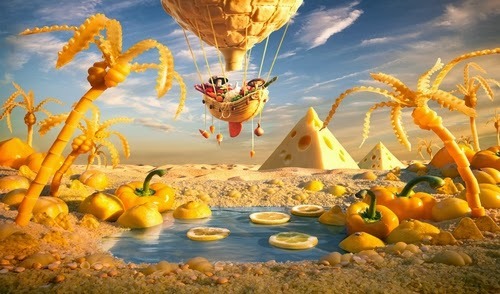 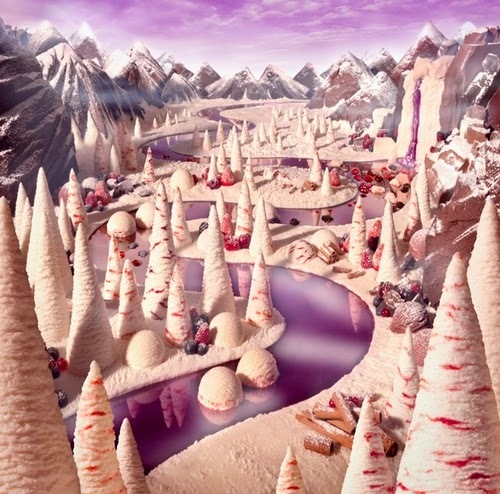 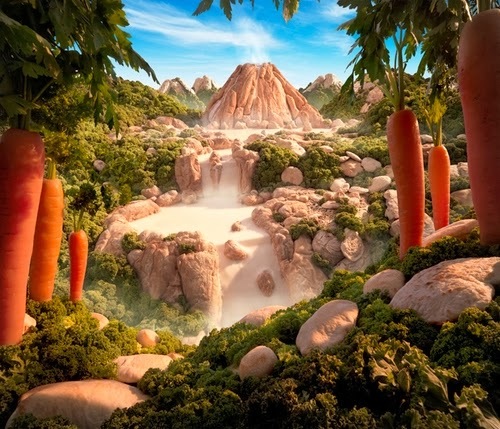 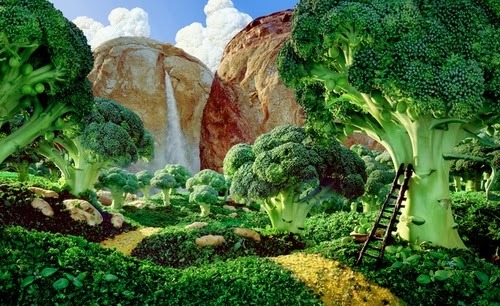 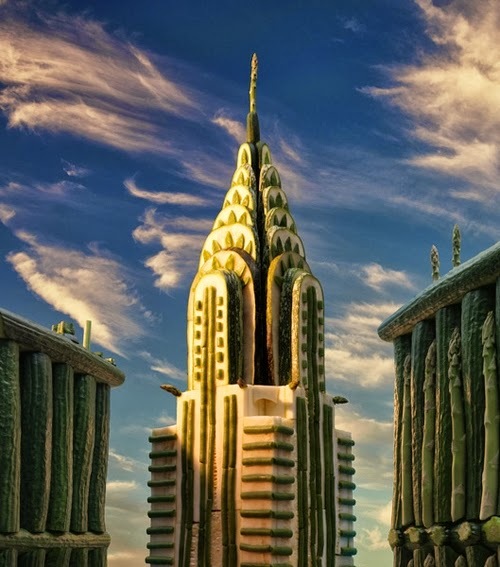 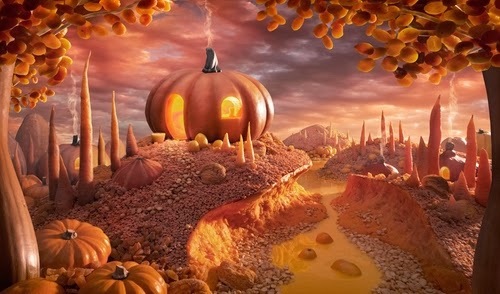 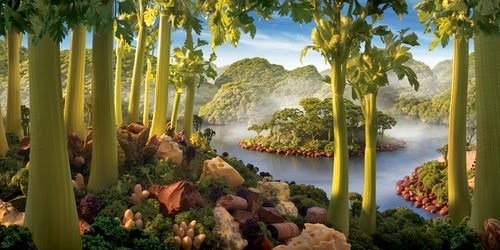 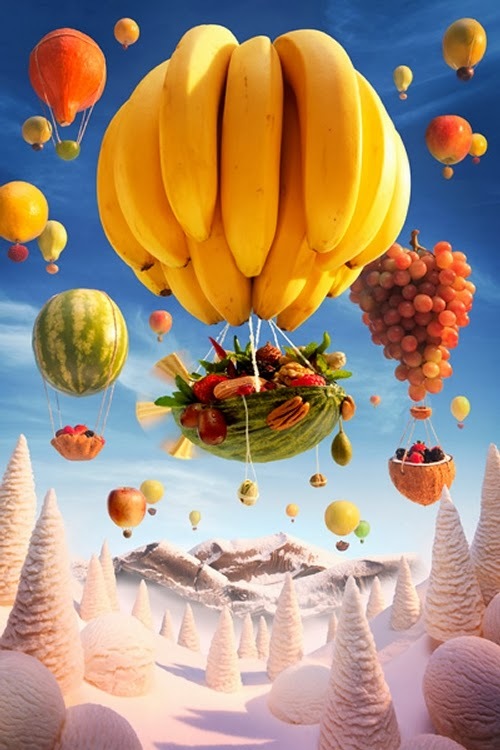 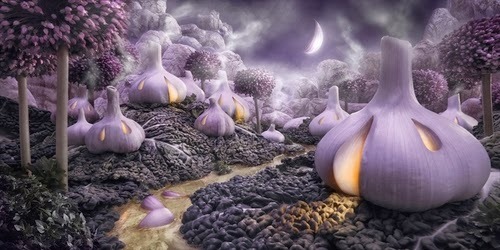 Impressive foods set ups (Foodscapes) in Landscape Layouts and Famous cities / Places by British Photographer Carl Warner. 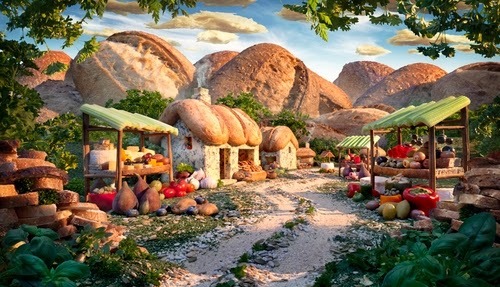 The procedure is more demanding than it 1st looks, as the vegetables and the rest of the food starts wilting and drying out under the lighting after a short while. 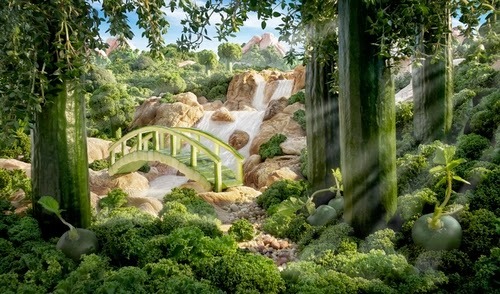 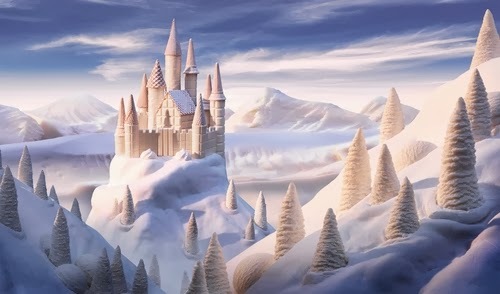 The scene is photographed in different sections and then put together in post production. 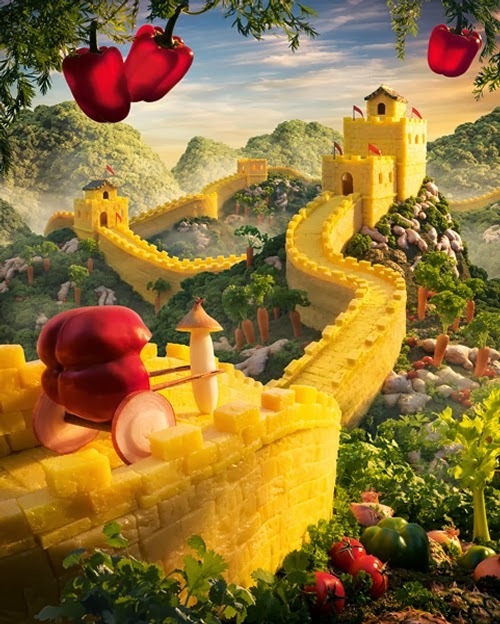 Great Wall of Pineapple China. 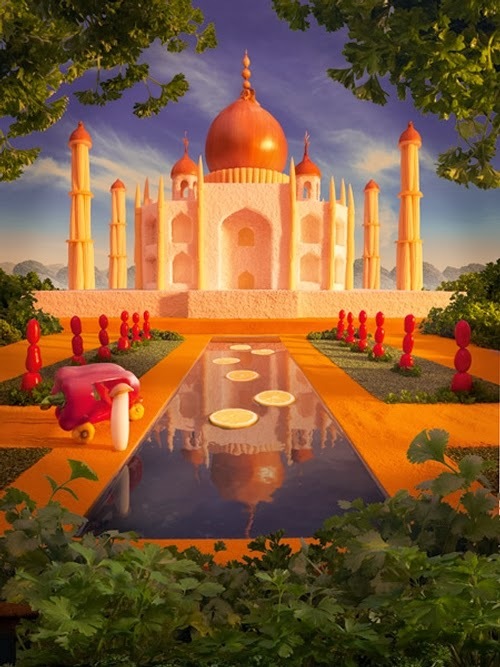 The Onion Taj Mahal India. 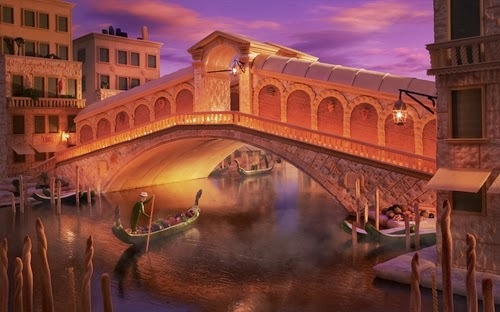 The Rialto Bridge Venice Italy. 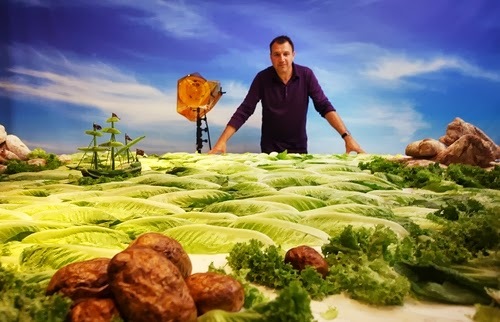 Carl on Lettuce Seascape Set.